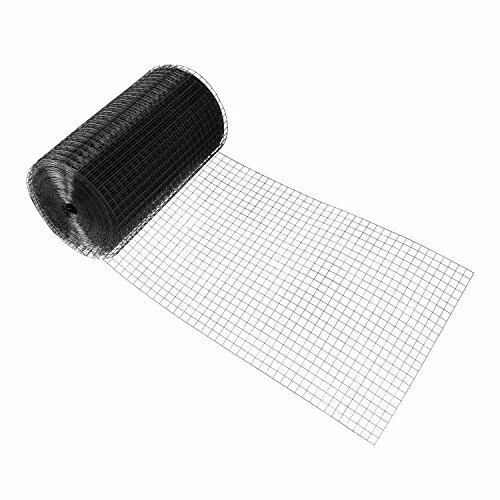 Fencer Wire 16 Gauge Black Vinyl Coated Welded Wire Mesh Size 1 inch by 1 inch (2 ft. x 50 ft.) by Fencer Wire at The Mirror Project. MPN: WV16-B2X50M11. Hurry! Limited time offer. Offer valid only while supplies last. Features. Anti-corrosive and anti-rust.. Galvanized before welding.. Vinyl coated in black PVC. 16 Gauge. Mesh Size - 24 in. x 50 ft. 1 in. x 1 in.. Features. Anti-corrosive and anti-rust.. Galvanized before welding.. Vinyl coated in black PVC. 16 Gauge. Mesh Size - 24 in. x 50 ft. 1 in. x 1 in.. Dimension - 11 x 11 x 26 in.. Item Weight - 27 lbs.